Samsung kept their thumb in one more pie this week when they released an update for the Samsung with Readers Hub 2.0. According to the press release, Samsung's ebookstore now features improved discovery and navigation as well as enhanced content recommendation systems. 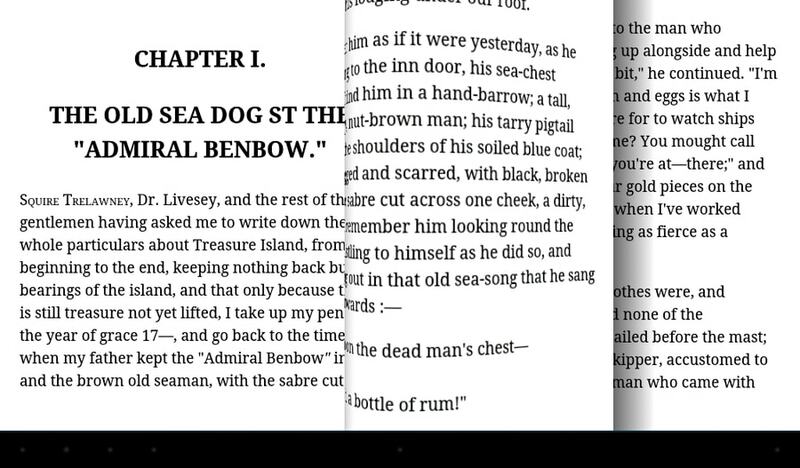 The app also gained new reading features more options so users can customize their reading experience. Highlighting and sharing are also mentioned as being new features, and that would be newsworthy of this were 2010. Here's something interesting: Samsung says that in addition to Epub and PDF, Readers Hub 2.0 also supports Epub3. I can't verify the completeness of support, but if anyone could check I would love to hear what you think. Readers Hub 2.0 also sells ebooks from Samsung's global and local publishing partners, including bestselling titles, along with illustrated cooking books and interactive reading materials for kids. There's even a publisher portal (a la KDP, Kobo Writing Life, B&N PubIt) which allows publishers to upload and sell ebooks. This app ships on the Galaxy S3 and can be downloaded to other Samsung mobile devices from Samsung, including the Samsung Galaxy Tab 2 7.0 (the screenshot). Samsung has been dabbling in ebooks ever since they first unveiled a set of ebook readers at CES 2010 (in the heady days of the ereader bubble). Those devices never amounted to much but they were the start of Samsung's interest in the market. Funny story: I ended up being a volunteer hand model at the CES 2010 Samsung press conference. Even though I had never seen the ereaders before I knew more about them than anyone so I got to play with them while others shot video. It was fun. I switched from going KDP/whatever to a distributor at the beginning of this year. They’re putting my books into Samsung, and I was surprised to see sales–places like South Africa, NZ, Singapore. Way too early to judge, and it looks as though they’re a mite picky on content, but they could catch Kobo pretty quick. Whoa. You have a middleman now? It will be interesting to see this on a Galaxy Note II or the Galaxy Note 8.0. Does it support multi-windowing?